We would like to extend a heartfelt thank you to everyone who referred a new client to us and qualified for the raffle in the month of May! We truly appreciate your support and look forward to continuing to provide you excellent service. And a special congratulations to Alexandra Avanesian, Assistant Property Manager at Douglas Emmett Management LLC, the lucky winner of the $50.00 Amazon Gift Card. 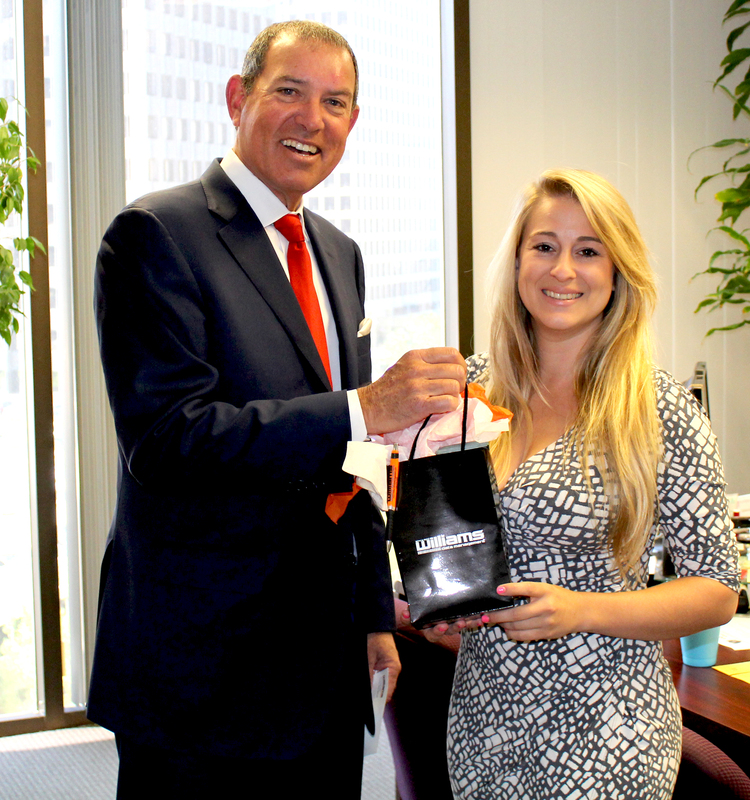 The photo below commemorates Douglas Williams, CEO of Williams Data Management, personally awarding Alexandra the gift card and gift bag. Again we would like to thank everyone who referred a client to us! Just a reminder to be on the lookout for more upcoming monthly raffles and to keep on referring to receive a Starbucks™ gift card. If you have any questions feel free to reach us at 888.920.4549.